I had the lovely surprise to get one of the A/P version of the Gosh! 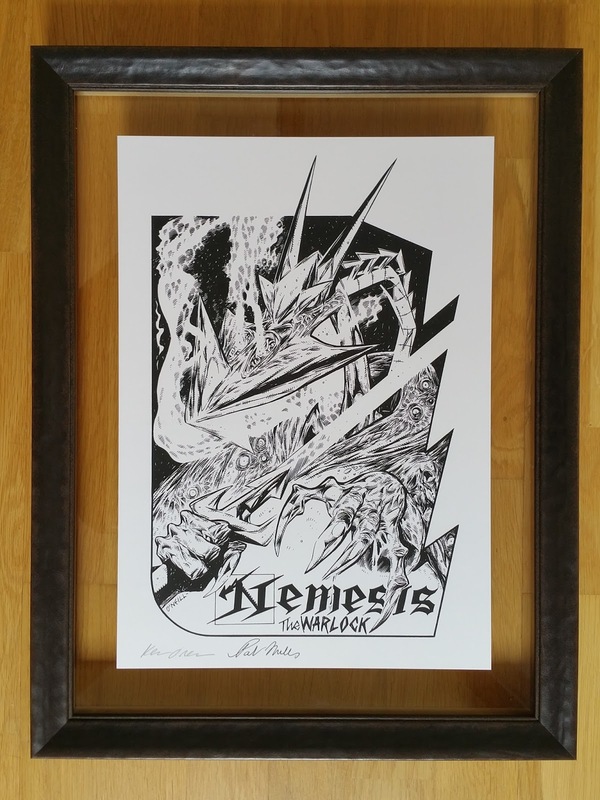 limited Nemesis The Warlock print (the last produced for their 30th anniversary, five copies left at the time I am writing this article). Thanks Lisa and Pat for that (and of course the talented Kevin O'Neill)! 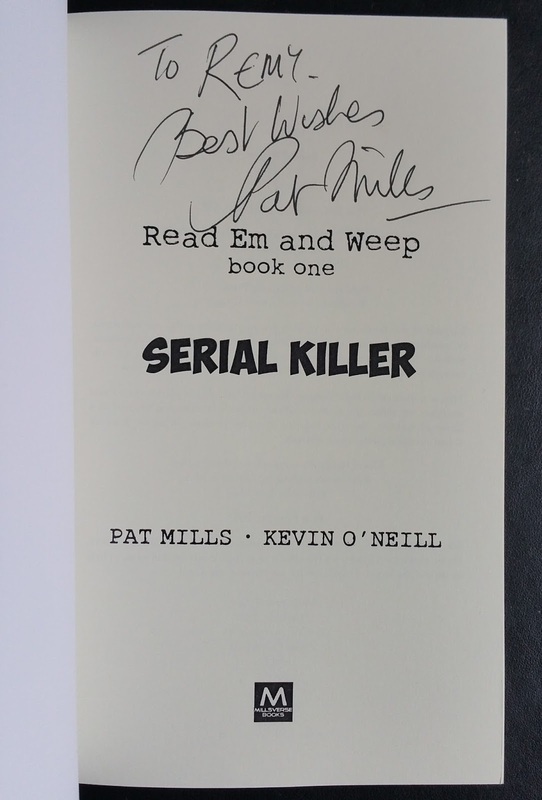 Now it is possible to order a paperback copy of Read Em and Weep 1: Serial Killer signed by Pat Mills. Here it how it would look like (again many thanks to Lisa and Pat). To order a copy it is this way! 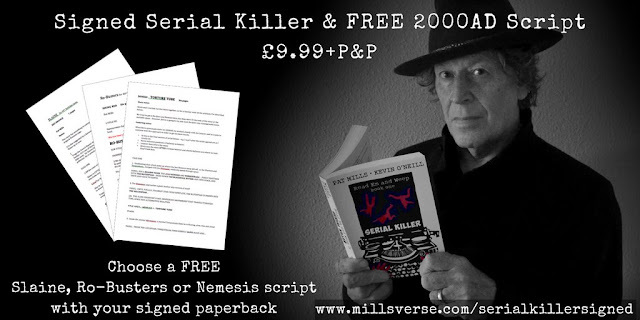 It is also possible to get the digital copy signed, more on that on the Millsverse Facebook live chat video. 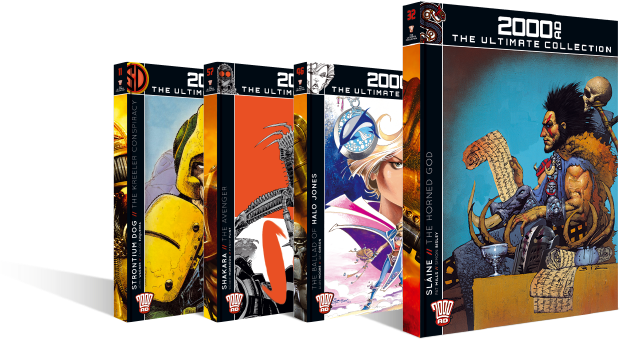 From a couple of weeks now, Hachette has begun to trial a new 2000 AD related collection in the UK, including of course milestones Pat Mill epics. The series website is now live at www.2000adcollection.com if you want to see how the collection might take shape if it does launch nationally".